Katherine grew up in an Ohio suburb surrounded by cornfields, but she cultivated her love for farming in New York City. While working in nonprofit marketing and communications, she fell in love with community gardening and with the Union Square farmers market near her office, where she quickly learned how to locate the “ugly bags” and end-of-day deals (on that aforementioned nonprofit salary) while also forming relationships with the folks behind her food. The lure of working outdoors, supporting a community-based project, and immersing herself in another language led Katherine to a children’s home in La Paz, Bolivia, where she worked with resident children to build their own community garden. “One of the kids told me the soup they’d made for dinner one evening was especially tasty because they had grown the radishes that were in it,” she recalls, “while another kid kept his radishes in the ground all season. He told me they couldn’t be pulled up until at least the following year!” Their enthusiasm for growing food and strong sense of food sovereignty stuck with her, and back in NYC, she dove further into urban agriculture, helping to develop urban farms and community gardens with the New York Botanical Garden's Bronx Green-Up, managing educational apiaries with NYC Beekeeping, and tending chickens in Brook Park while learning with neighbors about the history and significance of this South Bronx community garden. Though she felt strong ties to her neighborhood and New York City, she also found herself more and more frequently traveling across and beyond the five boroughs to visit and work on various farms. Last year she moved up to Dutchess County to apprentice at Sisters Hill Farm, a five-acre, 250-member vegetable CSA farm, where she received training in efficient farm systems, tractor operation, and farm management. 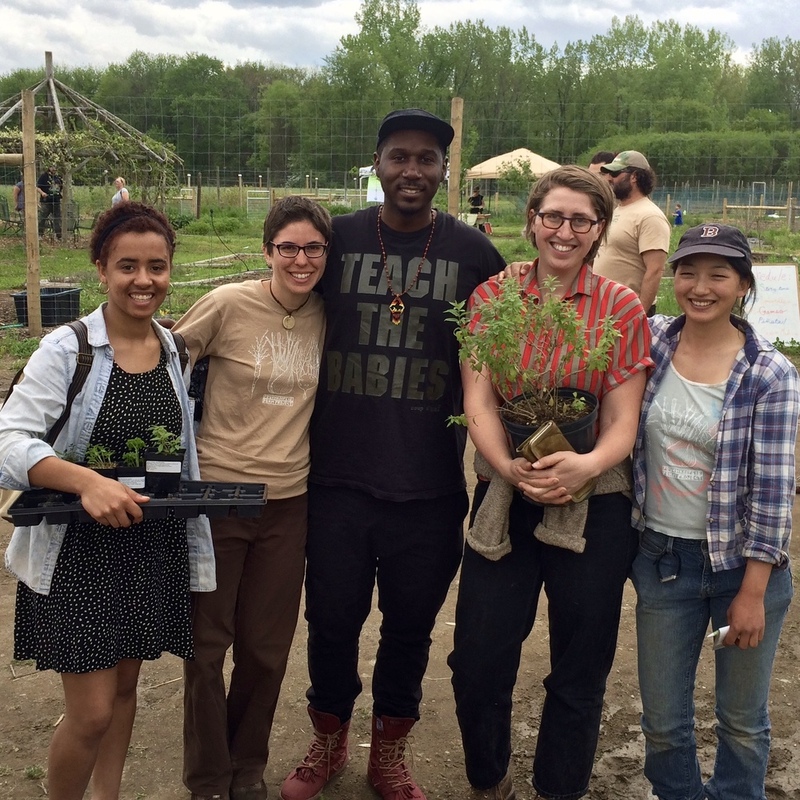 She also graduated last winter from Farm School NYC’s urban agriculture and food justice certificate program, which shaped her understanding of a fair food system as one that is anchored in environmental, social, and racial justice. Katherine is thrilled to be farming this season at Poughkeepsie Farm Project and to be working alongside an awesome farm crew and staff, both in the field and in her role as Food Share program manager, through which she will be coordinating donations of fresh produce throughout the season to local community organizations. She looks forward to collaborating with PFP’s Food Share partner organizations, and she is equally excited to meet and work with our CSA shareholders. Keep your eyes and ears peeled around the farm; if you spy someone in the fields snacking on edible weeds or hear a loud burst of laughter, that might be Katherine!